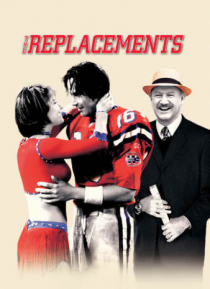 Superstar Keanu Reeves stars in this fact-based comedy about the 1987 National Football League players' strike. A motley group of replacement players for the Washington Sentinels overcome all odds and put together a string of seemingly impossible victories. Co-starring Gene Hackman, Orlando Jones and Jon Favreau. With NFL announcers John Madden and Pat Summerall.